On Nov. 20, The Palm Beach Post, for only the fourth time in 100 years, devoted its entire front page to a single image: the photos of every Palm Beach County man, woman and teenager who died from a heroin-related overdose in 2015. Online, The Post created an interactive “wall” of faces. Clicking on a face brought readers to that individual’s page, and a brief story of his or her life. A 12-page print special section included longer profiles, decoded the science of addiction, explained why so many were dying and showed how shameful inaction enabled a public health emergency to continue unabated and untreated. CJR later would headline it an “audacious” decision on The Post’s part. But it was never an easy one. In early 2016, the goal seemed simple enough. 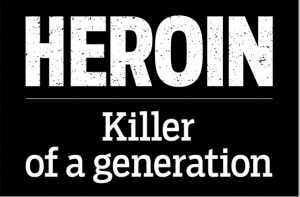 Roughly once every other day in Palm Beach County in 2015, heroin, fentanyl and illicit morphine – the unholy trio of drugs tied to the heroin epidemic – was claiming a life. Yet local reaction remained muted. Much like AIDS in the 1980s, the epidemic was shrouded in secrecy and stigma. In fact, until The Post began its reporting, no one was even counting the dead. As long as the dead remained invisible, the epidemic could rage. For any meaningful change, editors and reporters concluded, the paper needed to show that those who lost their life to addiction were people felled by a disease. To do so meant breaking the anonymity not only of those who died, but to reveal to friends, business associates and in some cases, relatives, that a loved one died of addiction, a disease still considered by many evidence of moral failure and degeneracy. And although the rationale for inflicting pain was that the photos could trigger action, there were no guarantees any such action would follow. The months-long ethics struggle, then, pitted the need to wake the community to a crisis against the probability of inflicting pain on grieving individuals who sought privacy. The conflict became very personal, very quickly. Newsrooms are not exempt from the sweep of addiction and alcoholism, and of five reporters assigned to write stories of drug users who had died, three had personal experience with addiction. Two were in recovery for their own drug addiction. A third had lost family members to alcohol addiction. Then, in the middle of the project, one reporter lost a roommate to a heroin overdose. All three were acutely aware of what grieving families would be going through when The Post called. And some of those phone calls were going to come on or near the first anniversary of a loved one’s death, possibly compounding the pain. Of the five original reporters, two came to the conclusion they could not make calls. Background research for the story continued for months. As a result, so did the questions: Why risk inflicting deep pain if there was another way to illustrate the epidemic? Why not publish only the first name? Why not publish a first name and last initial? Some suggested showing just 50 faces. Some suggested publishing the photo, but not a name. Some suggested showing individual “tombstone” graphics, not photos. Some suggested showing only the faces and names of people whose families were willing to share their loss. Reporters who initially leaned toward full identification changed their minds after speaking with a grieving family member. Others who initially objected came to believe full identification was crucial. The paper reached out to experts in ethics, people in recovery, lawyers and treatment counselors. Reporters were able to locate and talk to at least one member of the family of 60 percent of the 216 who died. Of those, nearly 100 supported publication of their loved one’s name. Fewer than a dozen expressed objections. When they did, the discussions were wrenching and the arguments persuasive. A young widow believed her young children would be bullied at school – and she threatened to commit suicide if her husband’s name appeared in the paper. A mother refused to believe her war vet son used heroin. A husband had not told his wife’s family how she had died: What if they, and her children, read it first in the paper? A mother and father, who also had not shared details with family, said it was no one’s business but their own. Twice, lawsuits were threatened. When possible, reporters and editors spoke repeatedly with those who objected to hear their concerns and answer questions. Some were so incensed as to be incapable of discussing it. But reporters and editors had plenty of their own discussions. If The Post withdrew photos and stories of families who objected, citing their pain, was the paper saying the grief of other families who did not object was somehow less? If The Post agreed to not publish unless families gave consent, was the paper obligated to remove faces of other victims online after publication? What would happen to those with families who could never be reached? If half the names and faces were left out, would the community understand the depth of the problem? Given the accusations of news media distorting truth, would anyone believe that the epidemic hit hardest among youthful, middle-class, white heroin users? If only 50 faces were used, would anyone believe that The Post had not been “cherry-picking” faces to suit some editorial aim? Wasn’t The Post, in some way, involuntarily “outing” overdose victims and their families, a practice just as ugly as the outing of gay men and women in the 1990s – which was also a part of the AIDs fight? Even as reporters continued to gather information, there was no agreed-upon conclusion on how that information would be used. And after speaking with dozens of friends and families of those who died, the two reporters primarily responsible for contacting and interviewing next of kin for 216 victims began experiencing symptoms consistent with secondary trauma. Yet, because editors and reporters remained open to doubt, the purpose of the project came into increasingly clear focus. Photographs, names and stories were intended to connect a community with its most vulnerable citizens. But they were also a direct rebuke to the idea that dying of a disease is shameful. To omit photos based on the fear of stigma was to participate in that stigma. People would be hurt and painful secrets revealed. But the greater harm, Post Publisher Tim Burke decided, would be in telling only part of a terrible, invisible truth. Reaction to the stories came within hours: County commissioners ordered a report on ways to curb deaths. U.S. Sen. Marco Rubio – criticized in the articles for inaction – called the photos “heartbreaking,” said they would factor into policy decisions, and asked for a federal review of a local grand jury sober home report that followed, and mirrored, earlier Post stories on abuse of addicts. The stories generated more than 212,000 online views in five days. The Post’s Facebook Live discussions on the piece – including a session where reporters took questions from readers on how and why the stories evolved – reached more than 151,000. It was tweeted in Canada and discussed in a North Carolina church. A University of Miami fourth-year medical student used it to create a medical student course on addiction. Dr. Maureen Boyle, chief of the National institute on Drug Abuse’s science policy branch, wrote to The Post, ”Thank you for sharing these tragic and important stories,” and Dr. Kana Enomoto, deputy assistant secretary to the U.S. Substance Abuse and Mental Health Services Administration, expressed personal appreciation for the articles. The state attorney is using it to push for state money to protect addicts. Two state lawmakers said they plan to put a copy in front of every legislator when the Legislature convenes in March. For its struggle to balance the grief and privacy of families with the need to connect a community with the loss of its most vulnerable citizens, for its months-long willingness to remain open to conflicting opinions and for its deeply held conclusion that lawsuits, reader hostility and peer criticism were all acceptable risks if lives could be saved, The Post submits Heroin: Killer of a Generation, for the Anthony Shadid Award for Journalism Ethics. Reporting team: Pat Beall, Joe Capozzi, Lawrence Mower, Mike Stucka, Christine Stapleton, John Pacenti, Joel Engelhardt, Holly Baltz, Melanie Mena, Barbara Marshall.